Posted by Ray Poynter, 29 August 2018. Until 2012 I used to write a blog on Typepad and recently I have been tidying it up so that the blog can be deleted. 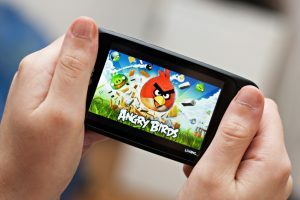 The post below was originally posted on 30 July 2011 – back in the days when Angry Birds was all the rage. I thought I would re-post this blog now to help emphasise how little has changed and how far we are from having a new paradigm for reporting. “Will anything replace PowerPoint soon? Posted by Ray Poynter, 30 July, 2011. It is hard to imagine anything replacing PowerPoint in the foreseeable future. Available technology, the system needs to be able to produce PDF files and a file format that can be widely read by clients (e.g. Excel, Word, or PowerPoint 1997-2003), or WMV. The standard deliverable must not need to access the Internet, the intranet, or supporting files. The standard deliverable needs to be static, so that different clients see the same view, this rules out deliverables like What-if models, GapMinder, and interactive tables. The standard deliverable needs to be supported by tools and skills in the supplier side, to ensure that the deliverables are cost effective. In the foreseeable future I do not see anything coming along that does what PowerPoint does better, cheaper, or faster. I think there will be some great developments in reporting tools, but most of these will be for analysts, not end clients. I think that interactive infographics will facilitate analysts gaining better insights. But when that insight needs to be shared with 40 non-specialist clients spread across 20 offices and perhaps 8 countries, it needs to be turned into something like a photo, or a book, or a newspaper, or a report, i.e. something static, reliable, and which requires relatively few skills to read and interpret. Most end-clients want results and findings, they do not want a method of finding the results for themselves. Most interactive systems are a method of finding results, they are not the findings themselves. One of the problems for vendors is that many clients say they want a system that is really easy to use and is at the same time flexible. But what they mean by flexible is inescapably linked to harder to use. As an example, SPSS is a relatively powerful way of storing quant data, it is relatively flexible in its analysis, and it is pretty easy to use. However, most end clients would not dream of using SPSS to access their results. BTW, when I say end-clients I do not mean insight managers inside client companies, many of whom are perfectly willing and capable of working with interactive analysis tools. I mean the people whose full-time job does not include analysis, for example: brand managers, finance teams, creatives, designers, i.e. people who would like to be informed by the outcomes of research, but who do not have the time to learn how to do or analyse research. In 2011 when I wrote the blog post above, Prezi was storming the world, new options like SlideRocket claimed to be the future, and reportals and dashboards were getting into their stride. My post reflected something of a minority view in 2011, i.e. that PowerPoint would remain dominant. So, how do things look in 2018? I think that over the next seven years we will start to see some new options that will take a significant share, but I expect the volume of PowerPoint presentations to grow over the next seven years, and its share to only dip a little. Ray, this is an incredibly timely read and will look to reach out soon as my team and I have been working to crack this very challenge. You raise all great points and appreciate how you’ve outlined both the need, and the lack of progress made. Would love to connect to get your perspective on our solution that we’re launching into private betas. Let’s connect.